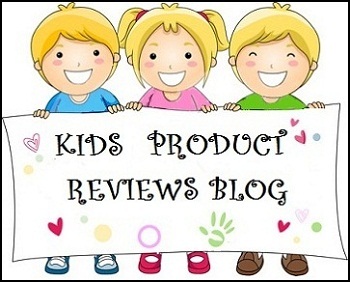 This is a review of the PMS relief aromatherapy roll on from Soulflower. 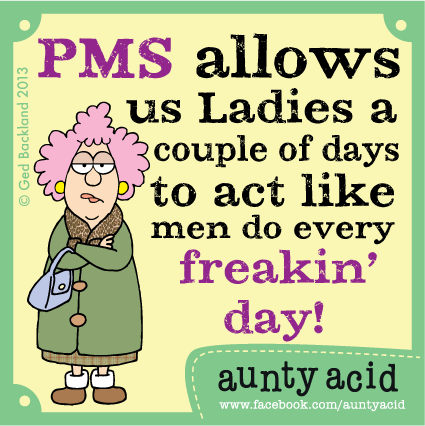 PMS stands for Pre-Menstrual Stress or Pre-Menstrual Syndrome. PMS covers a wide variety of symptoms that occur a week or 2 before your menstrual cycle mainly because of the hormonal changes going in the female body. PMS symptoms can be just emotional or physical or both, but it truly affects a female's well being and leaves you feeling depressed, exhausted and just not so yourself! So I am glad a product like this roll on exists because it has really helped me a lot in the past few months since I am using it. You can read more about PMS here. 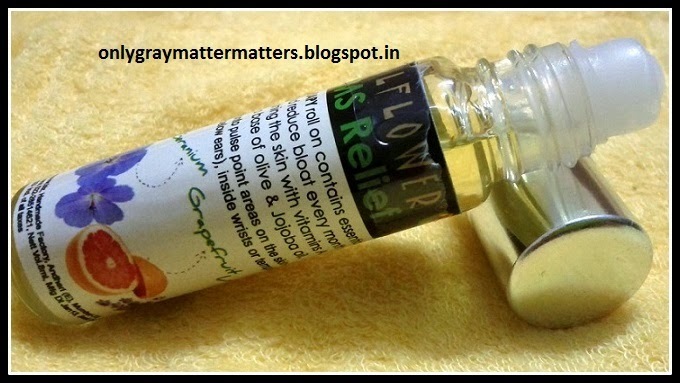 Soulflower PMS Relief Aromatherapy Roll On. The label looks a little different in new packing. Availability: Easily available at many online stores. Shoppers Stop and other physical stores that sell this brand. This PMS relief aromatherapy roll on is one of the best aromatherapy products I have included in my lifestyle. It is very important to identify your PMS symptoms and note the date each month when you feel these symptoms, so next time you are ready with this roll on around the same time and make your life much better. This roll on is of utmost important to working women or women who have a lot of responsibilities and stress. One of the major emotional PMS symptoms I feel is unaccounted stress and a sudden inability to handle stressful situations which I can otherwise handle very well. The body feels exhausted and I have identified some physical symptoms too. 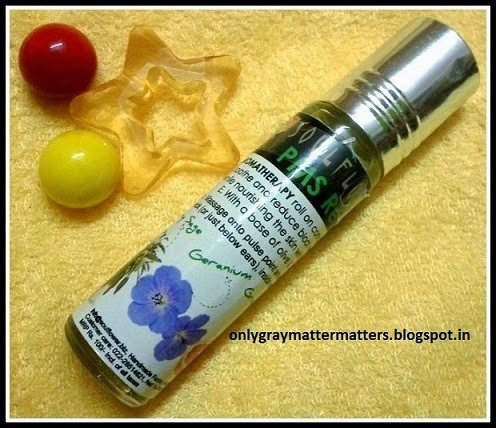 By now I am able to figure out whenever I am down with PMS and a few rubs of this PMS relief roll on on my forehead and temples, wrists, inner side of elbows, back of neck, shoulder blades etc gives me instant relief. I apply on my wrists and rub them together like you do with perfumes, similarly on the inner side of elbows, I apply and rub it in with my wrists. These are high absorption points and provide instant relief. Then I sniff this roll on and take deep relaxing breaths and it calms me down and lifts up my mood. Within 10-15 minutes I am back to my normal again. Sometimes I apply a little on my nostrils and upper lip too because the heavenly scent gives immense immediate relief. Infused with anti-oxidants this nutrient-enriched oil blend nourishes skin with Vitamins A, B, C & E while stimulating the senses instantly. Contains Grapefruit essential oil, geranium essential oil, clary sage oil, lavender essential oil, Vit E in a base of jojoba oil. 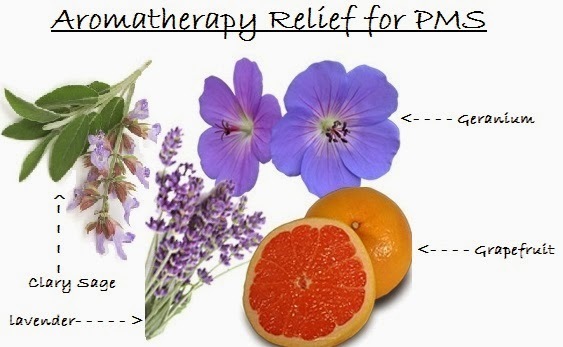 Grapefruit, Geranium, Clary Sage and Lavender essential oils are all superb mood lifters or mood enhancers, besides having other important benefits that relieve the physical symptoms of PMS. Soulflower PMS relief aromatherapy roll on smells AMAZING! AMAZING! AMAZING! and for Rs 100 and using only 1-2 days a month, it's gonna last very long. Soulflower also sells a stress relief roll on (read review of their other roll ons HERE) and I use this one interchangeably with the stress-relief one. This is more powerful than the stress relief roll on and can actually be used by men and women with severe cases of depression too. If men are afraid of carrying around a PMS relief roll-on, simply remove the label from the glass bottle and carry around this little magic potion in your pocket. Makes a very caring and thoughtful gift for your friend, spouse, girlfriend or a relative. My friends in other countries who don't have this product available can take a cue from the ingredients and prepare their own blend of some or all of these essential oils in any carrier oil available at your home. Avoid very salty food, too much caffeine/chocolates/coffee etc to keep PMS symptoms low and most importantly, identify your symptoms so you can manage your life better around those days. It is definitely better than taking medicines. Thanks Niesha. On the contrary I use all of them :) I just make the effort to keep them close by so I can reach out to them more often. This ones a life saver for me coz my PMS is mostly 1 day but it's terrible. 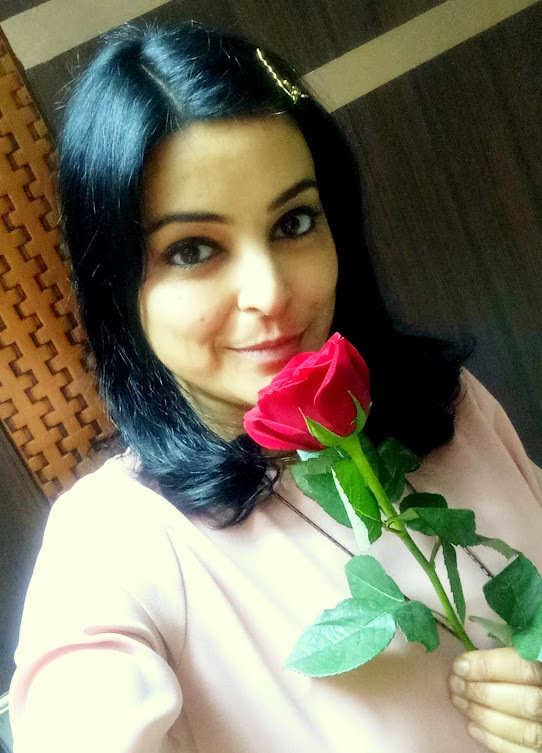 Ahh you do keep trying aroma magic stuff and still saying you are not fond of aromatherapy :) Anyways, this would be helpful if you get those famous mood swings we all get thanks to PMS. Good to know that it worked for me. Sadly my symptoms are more severe, and this doesn't help. But still I use it on my wrist points, below my nose or behind my ears. Awww that's difficult dear. I get the terrible physical symptoms once in a few months and it does get painful. So I can understand a bit what you might be going through. Try it on the temples and the inner side of elbows too, just to see if more quantity helps. totally agree with u on this gagan! Thanks Tej, you would now need it after a long time :) I know you have been waiting to try the roll ons. We will get whenever you next visit India. I have never heard of this product before. Wow. I shall definitely purchase this! It's a great product Deepika. Every month I go through severe PMS and after a good cry session I realize it's PMS time, that is when this roll on mainly comes out to my rescue. I also use it whenever I need a mood boost after a rough day :) Last time I had a lot of pain and cramps and rubbed it on the abdomen and there was instant relief.